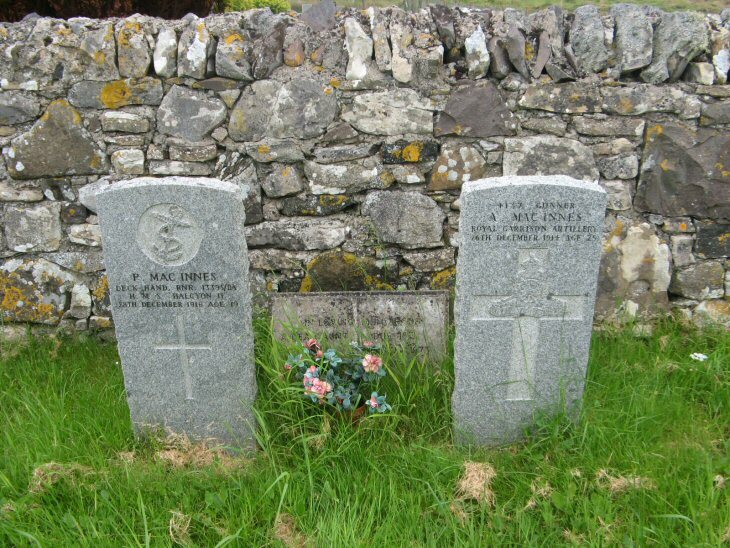 Skye Gravestones | P & A Macinnes. Annie Macinnes. P. MACINNES/Deck Hand RNR 13395/DA/H.M.S. "Halcyon II"/28th December 1916 age 19. In loving memory of/a dear aunt/ANNIE MACINNES/died 18th/August 1973/aged 78 years.